I’m an Airbnb virgin no longer. A couple weeks ago I was Skyping with my friends Alicia and David in London and bemoaning my 80 mile, gas-wasting drive to Greenville, and David said “you should find a place to stay on Airbnb!” I knew what Airbnb was — a website that connects people with a spare room to rent and travelers looking for a cheap place to stay — but I thought it was only for big cities like London and San Francisco. Not true! 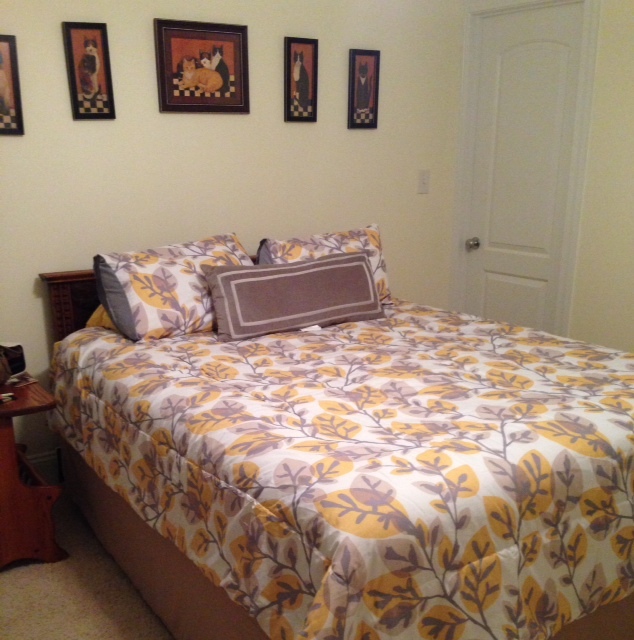 I found several listings in Greenville, have friends across the country who’ve had good experiences both renting and staying through Airbnb, and so last week I booked a night to save myself one round trip drive home. the bathroom immaculate and stocked with fluffy towels, and the bed ridiculously comfortable. 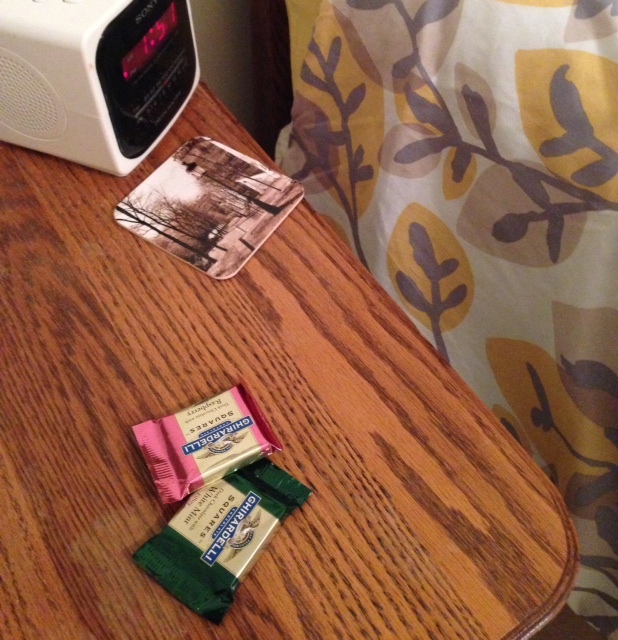 There were even chocolates on the nightstand. My host invited me to watch TV with her downstairs so I did, and during commercials we chatted and got to know each other a little. She was nice, it turned out we have similar taste in television, and I got to catch up on the new season of Bones. Then I headed upstairs where I was lulled to sleep by a perfect mattress and the soft sounds of a rainy night in Greenville. All this for about 1/3 of the cost of an equally nice hotel. The internet is amazing. In so many ways we’re less trusting now, and find the world a more dangerous place than it was a few decades ago. People don’t leave their front doors unlocked, and kids don’t get to run unsupervised all over the neighborhood after school. But you can go online, put in your email address and credit card number, and be welcomed into a total stranger’s house to spend the night. And the consensus is that this usually works out just fine. And actually, I shouldn’t have found it so strange. I stay with perfect strangers several times a year when I travel for gigs and am placed in home stays. The initial meeting is always awkward, but then I settle into my new temporary home and enjoy learning about my hosts and their lives. I’ve met amazing people this way, and some of them have become close friends. In fact, some of the guests at my wedding were friends I initially met when they hosted me for a performance. It’s a wonderful thing that people, whether they’re doing it as patrons of the arts or to bring in a little extra income, are still willing to open their door and welcome a stranger across the threshold.